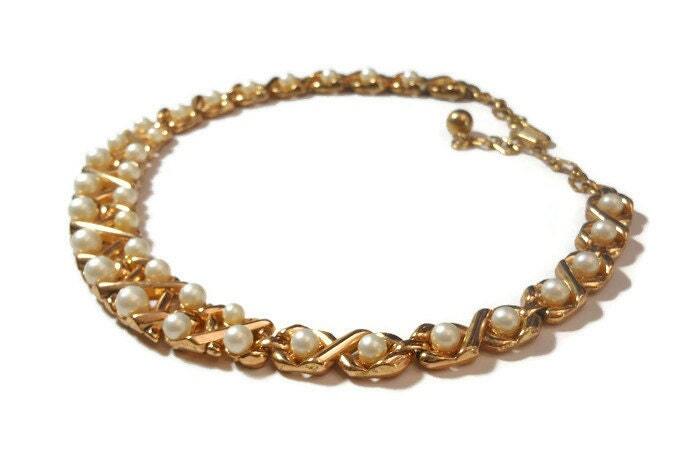 1950s Crown Trifari white faux pearl necklace choker signed, gold plated, criss cross pattern. Lovely example of Trifari work during the reign of Alfred Philippe. The necklace, as with many of their clasp necklaces of the time, did not have room for the crown. I have seen it on the matching pieces though. 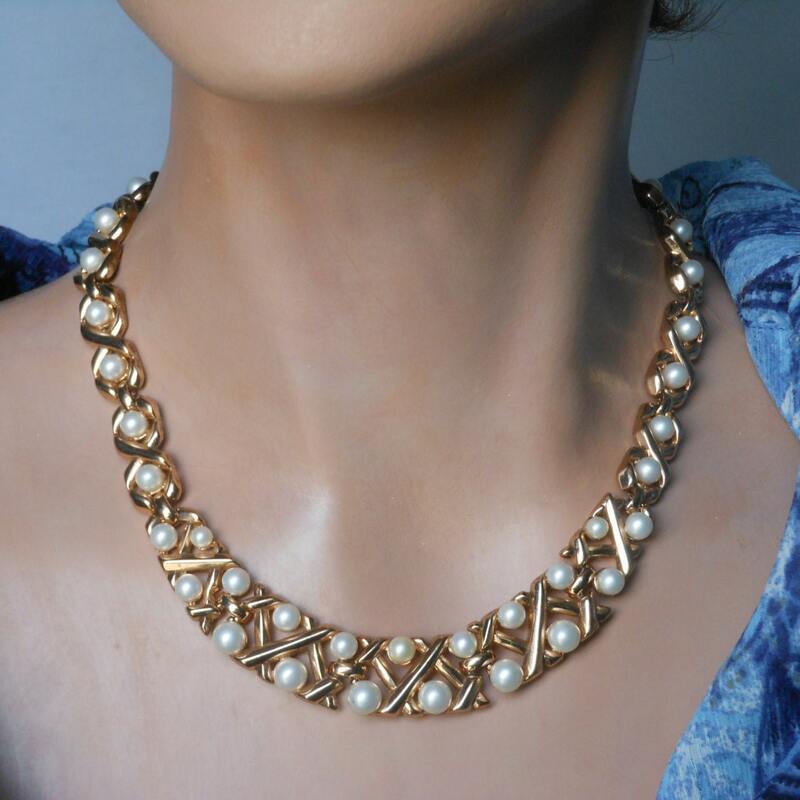 The necklace measures 13" (33 cm) with a 2" (5 cm) extender. 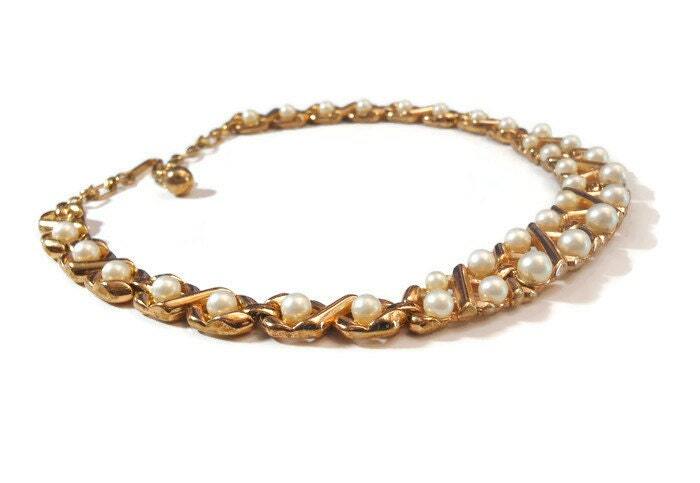 It is missing one pearl at the rear and the price is indicative of that. Else in very good vintage condition. 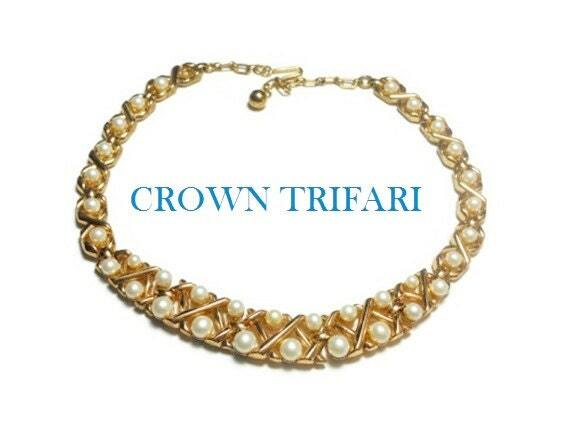 Alfred Philippe’s Trifari Crown jewelry lasted from the late 1930s to the 1960s. Except in very rare cases, there will be a crown above the T in Trifari. 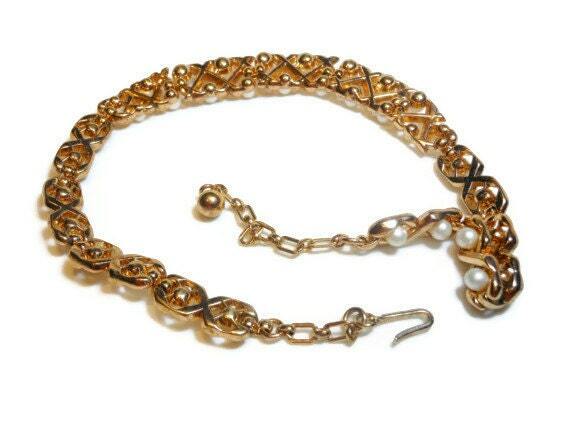 Exceptions may be on clasps too small to accommodate although I have seen in on very small clasps. To note about Trifari in general is that there are no 'unsigned' Trifari.